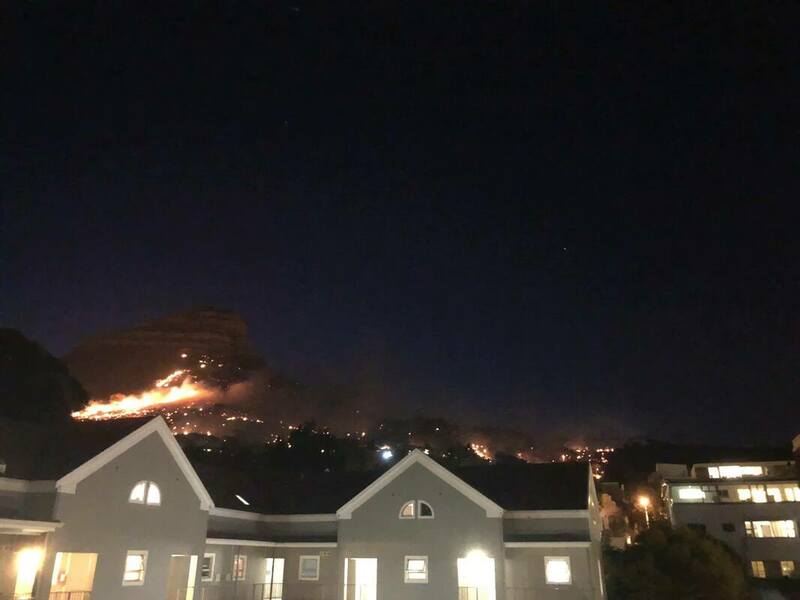 “At around 1h00am the wind abated considerably, which assisted in the fire being 95 percent contained,” added Schnetler. 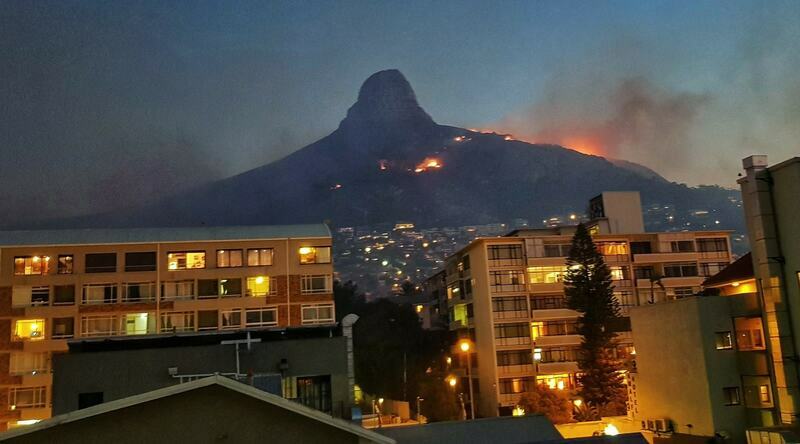 “The incident command post and staging area was established at the Sea Point Police Station. 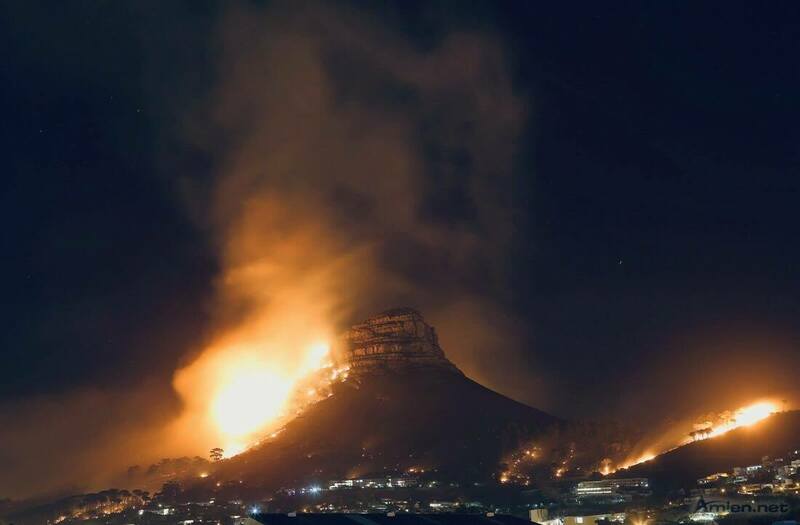 The fire was contained at approximately 03h00 on Monday morning after the wind abated substantially. 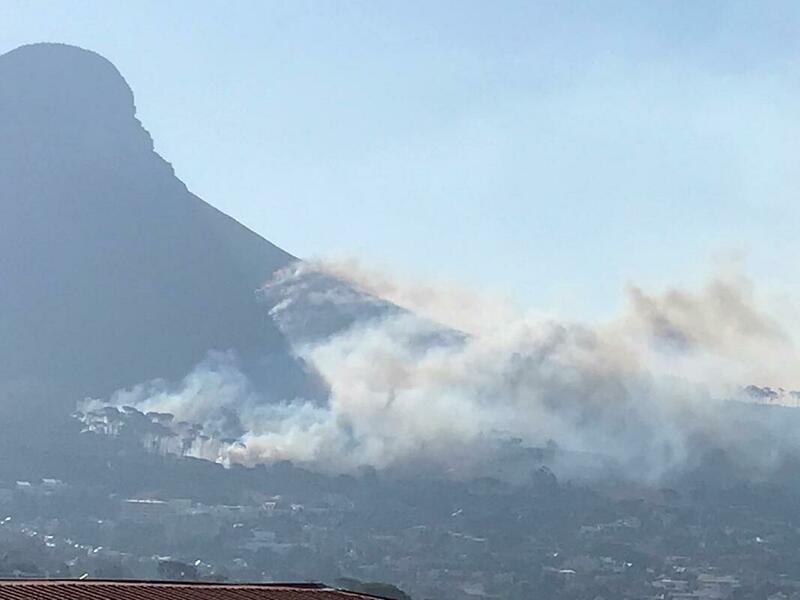 From 7h00am on Monday morning, with assistance from two Huey helicopters and a spotter to extinguish Camps Bay side of Lion’s Head, the fire was 100 percent contained. 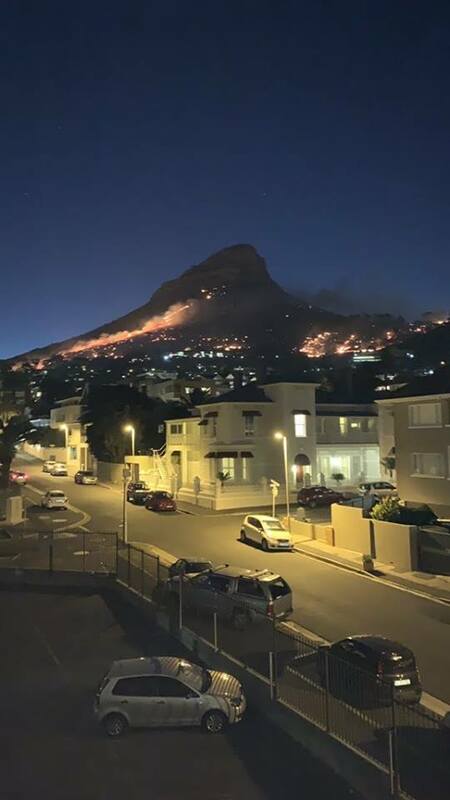 City of Cape Town began releasing resources during the morning and scaling down the incident and the incident command post was re-located to Signal Hill Road,” said Schnetler. 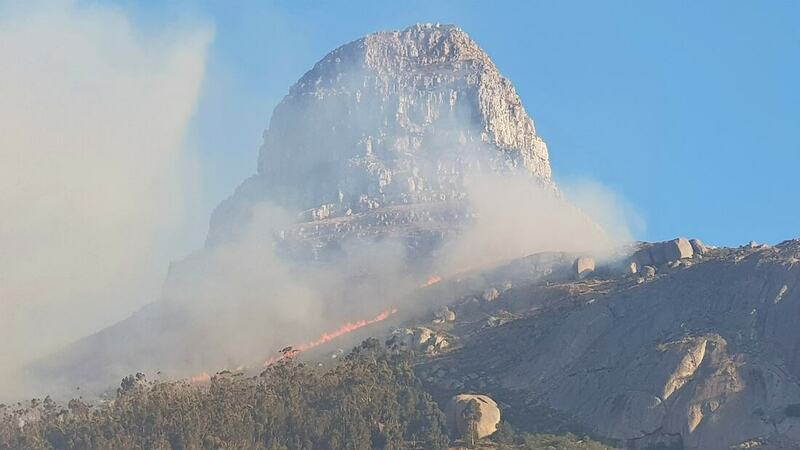 Prins reported that after the strong wind subsided at about 1h00am, SANParks crews were back on the fireline, making good progress. 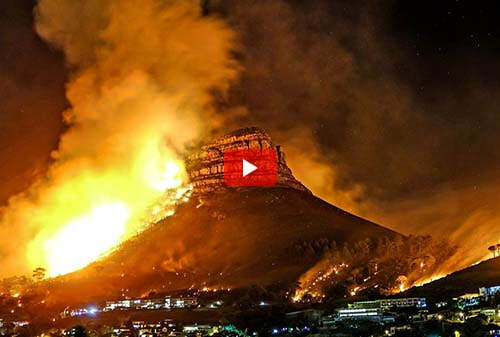 “There was a small section burning at the top of Lion’s Head to Kloof Road. 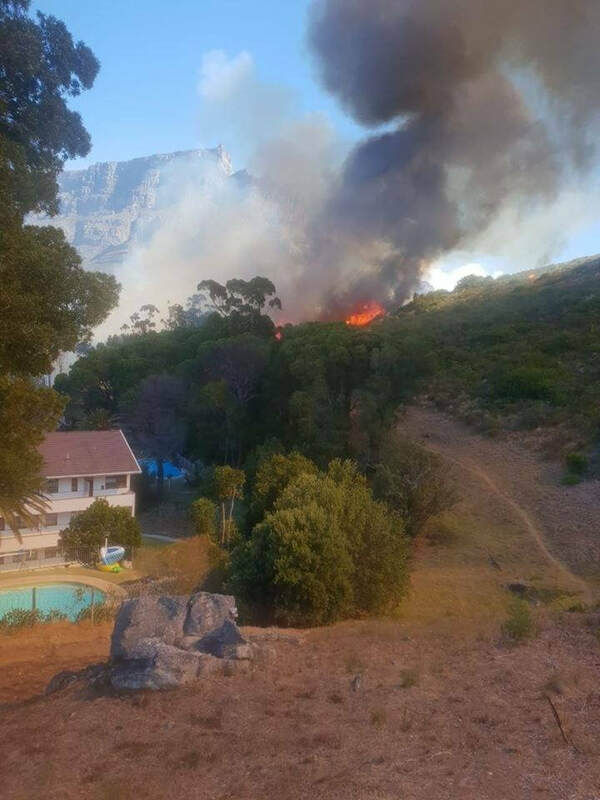 Our crews were again back on the fire line at 6h00 and patrolled the perimeter during the day. 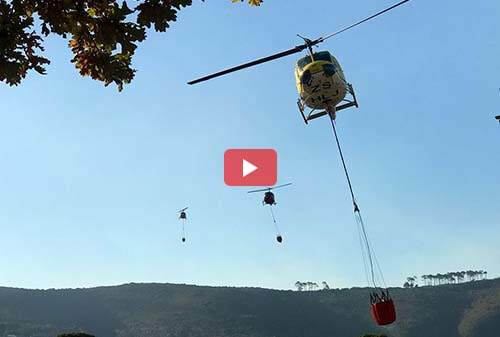 We experienced three major flare ups Monday afternoon and redeployed the aerial support. 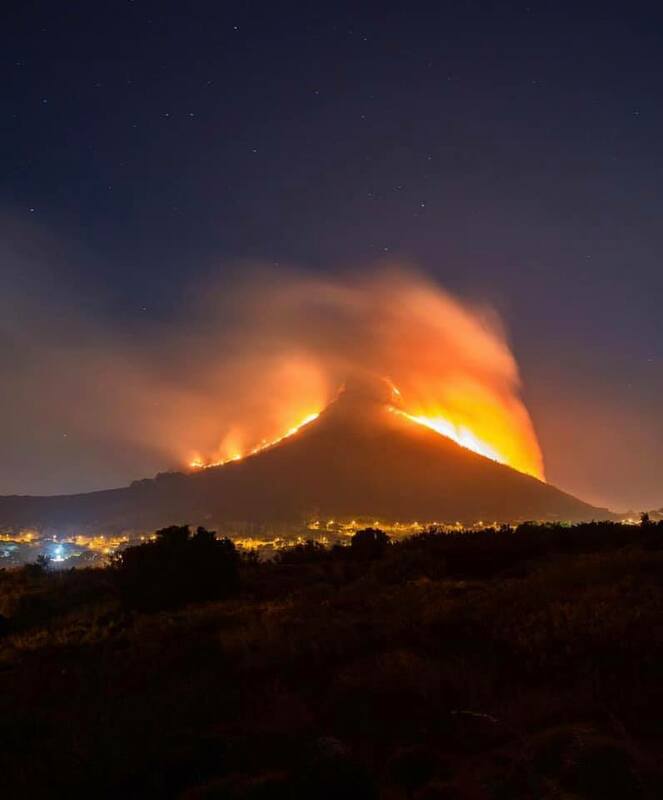 TMNP deployed around 30 crew on standby, the Newlands WoF crew, a visiting WoF crew from the Free State and VWS volunteers, so in total about 70 crew members responding. 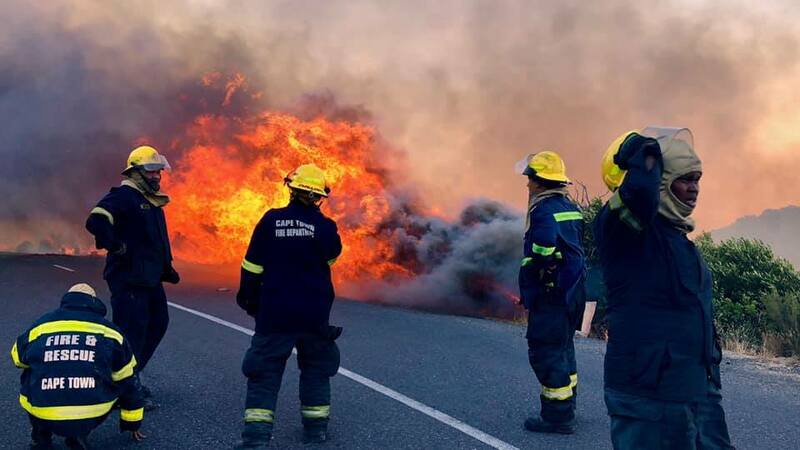 CoCT Fire and Rescue released all vehicles late Monday afternoon and carried out regular patrols; incident officially closed Wednesday, 30 January 2019 afternoon. 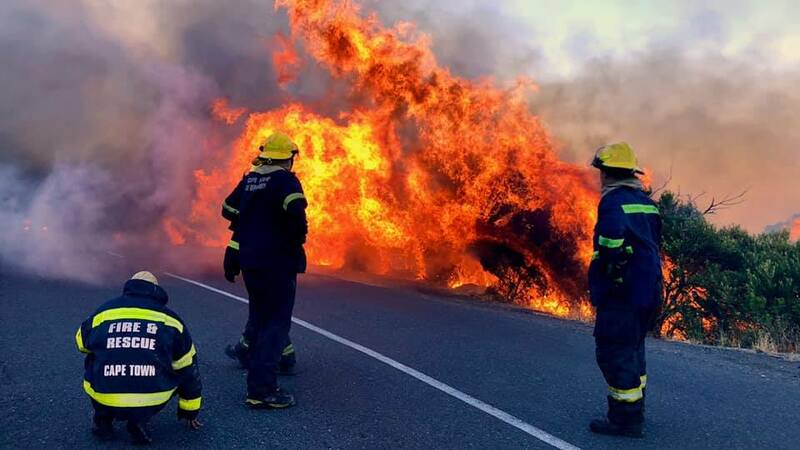 TMNP and affiliated agencies continued mop up operations throughout the night until yesterday afternoon. As we spoke to Philip Prins on Thursday at around lunch time, there were still random patrols being done by rangers who were in the area. 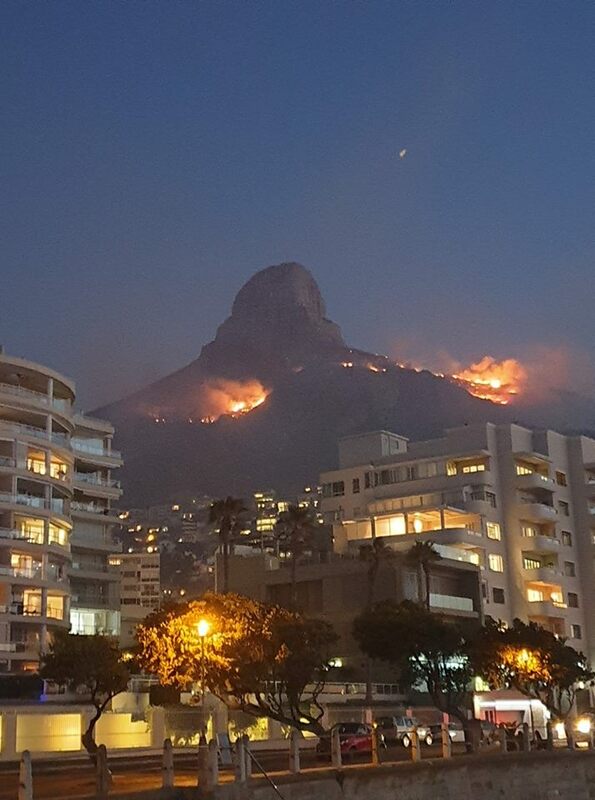 CFO Schnetler said that the challenges faced were the wind strength, direction, steep slopes and terrain. 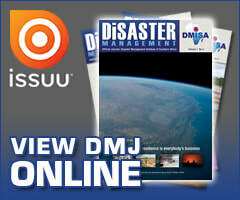 “Strong winds (South South Easterly at approximately 46 KPH) caused rapid spread and extra resources were called for. Injuries included one adult male (believed to have been caretaker of the Kramat on Signal Hill), received second degree burns to 45 percent of his back, face and arms. 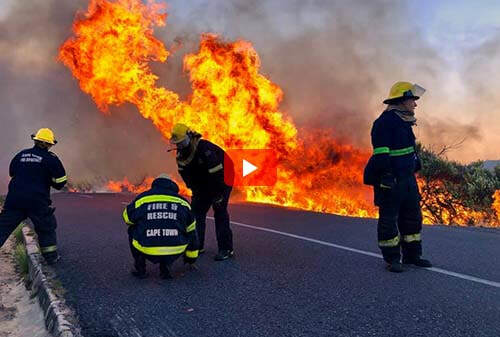 There was no damage to property. 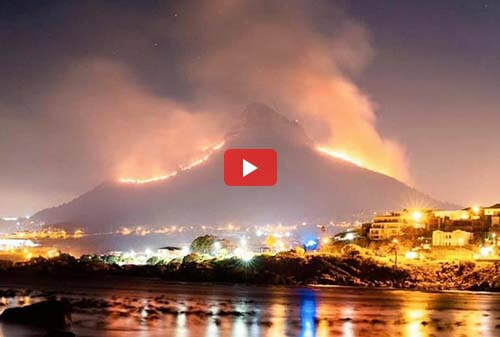 Prins added, “We have a good relationship between all responding agencies and especially between Table Mountain National park and City of Cape Town Fire and Rescue”. Suspected cause: vagrants cooking/fire left unattended. 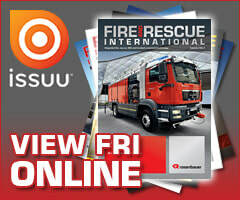 Fire and Rescue International commends all responders for their dedication and service.